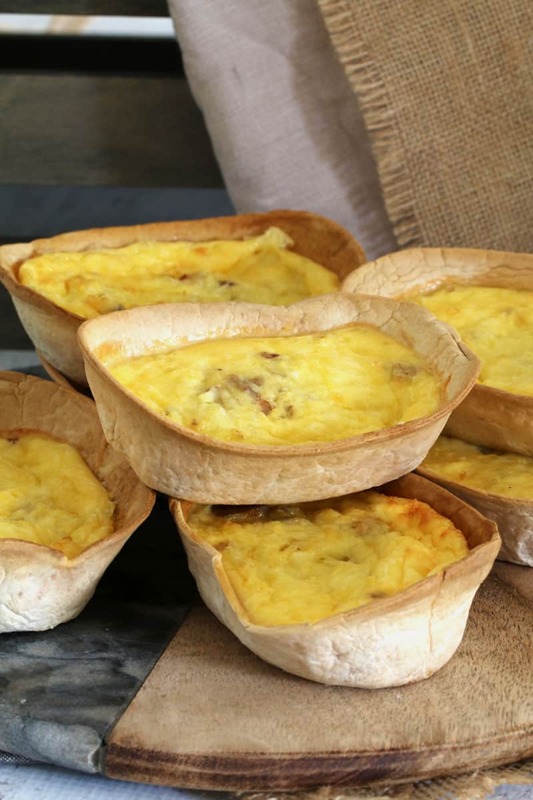 The easiest and yummiest Cheesy Egg and Bacon Tortilla Shell Quiches you’ll ever make! 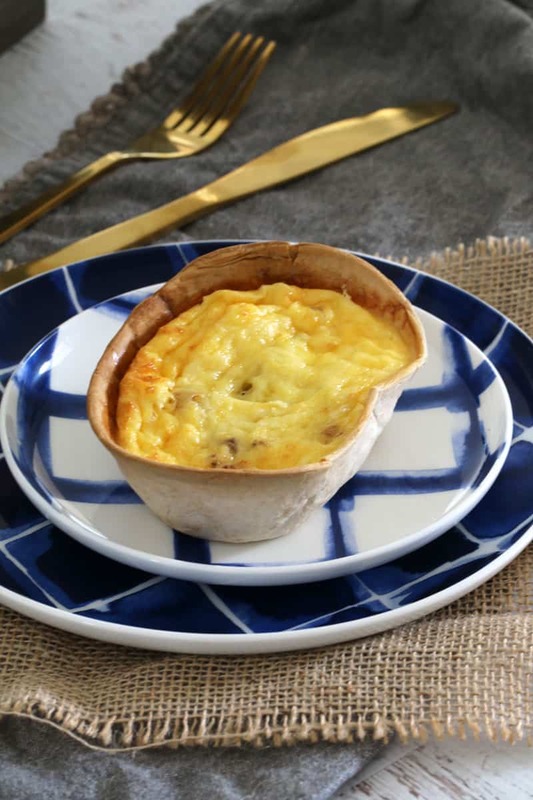 Simply fill store-bought tortilla shells with a creamy quiche filling and oven-bake to perfection! Too easy, right!? I thought you’d like that! 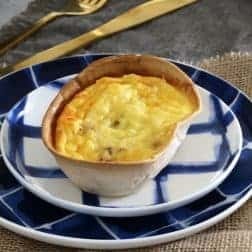 To make these Cheesy Egg and Bacon Tortilla Shell Quiches I used Old El Paso Stand and Stuff Tortilla Shells – but you can absolutely use any tortilla shells you like. If you can grab them on special for half price (they often are), then it’s even better! Then it’s simply a matter of filling them with a creamy egg mixture and topping with cooked diced bacon and grated cheese. ALL of the yummy things are going into these little quiches!!! Oven bake for 10-15 minutes or until golden and cooked through and serve. I just looooove how darn easy these are (I’m a sucker for any super simple recipe… and this is exactly that!). 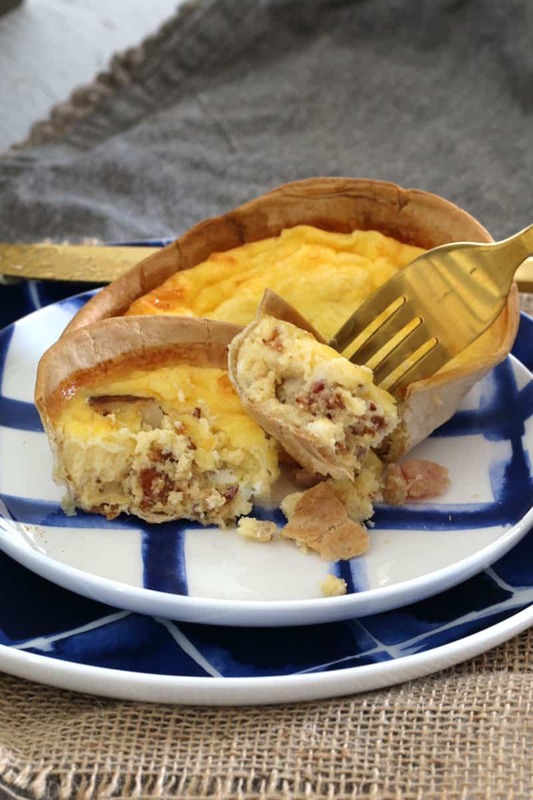 Perfect for lunch boxes, toddler fingerfood or adult-sized snacks, these Cheesy Egg and Bacon Tortilla Shell Quiches really are the bomb-diggity-bomb of the quiche world (that’s totally a thing, right!?). 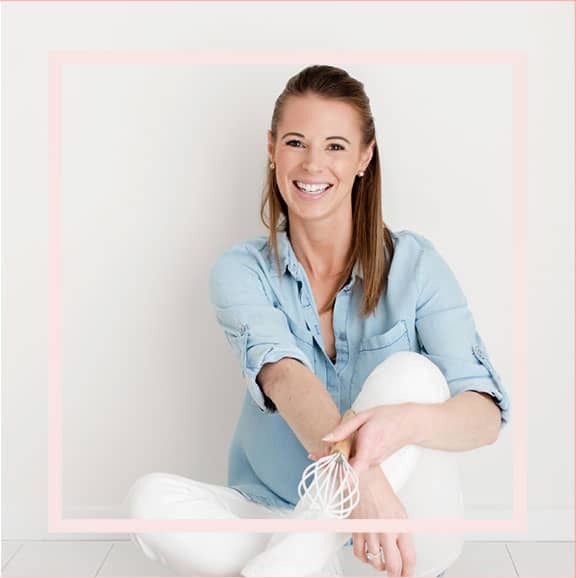 For more snack-sized recipes, check out my fave chicken sausage rolls, homemade muffin tray meat pies, cheesy mashed potato cakes and oven baked falafel balls…. ALL THE YUMS!!!!! 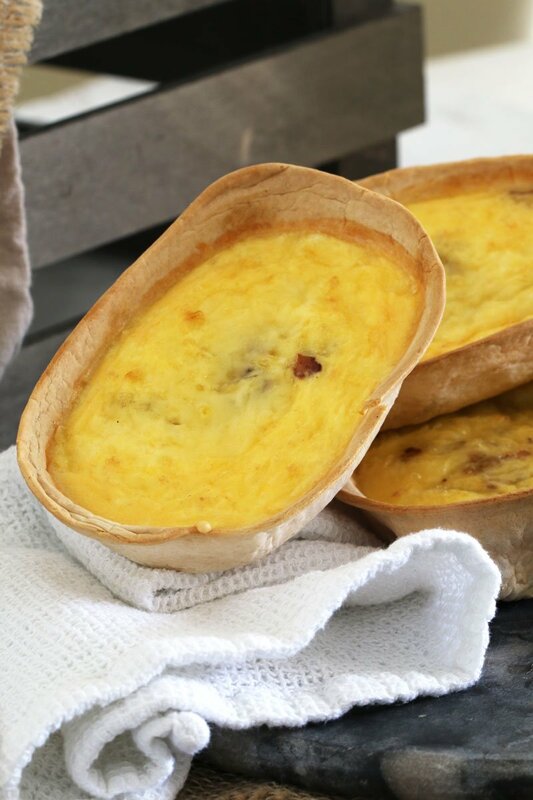 The easiest and yummiest Cheesy Egg and Bacon Tortilla Shell Quiches you'll ever make! 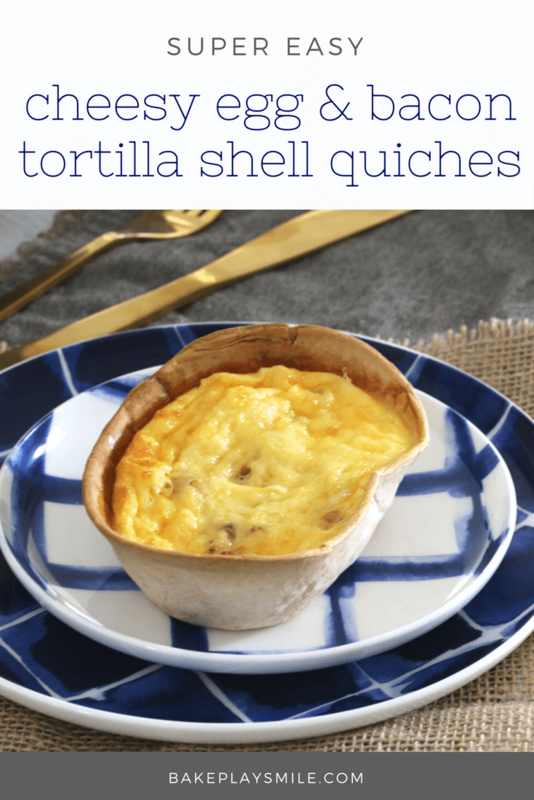 Simply fill store-bought tortilla shells with a creamy quiche filling and oven-bake to perfection! Preheat oven to 180 degrees celsius. Place the tortilla shells onto a baking tray. Whisk the cream and eggs together in a bowl. Divide the mixture between the tortilla shells. Sprinkle over the diced bacon and grated cheese. 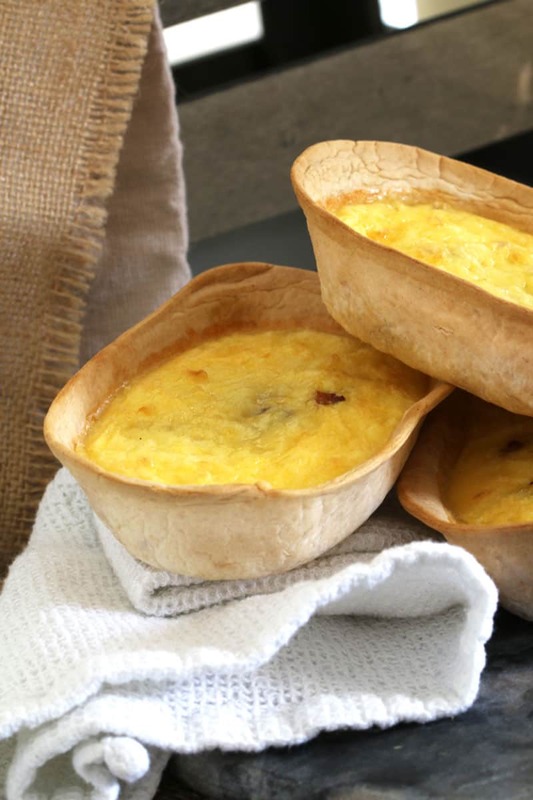 Any leftover Cheesy Egg and Bacon Tortilla Shell Quiches can be frozen. Could you use ham instead of bacon in these? They look so yummy. You can or you can replace it with milk. 🙂 And yes they can be frozen!